Update: RS seems to be back up and running. Get those downloads while you can! Here's another posting that comes by way of a request. 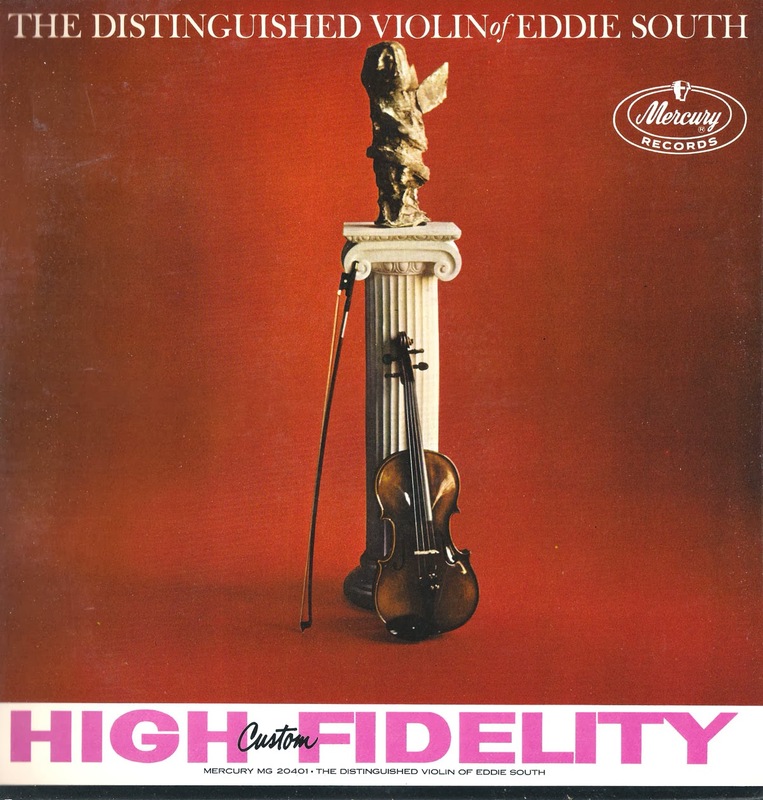 A while back, Gene, a dedicated Eddie South fan, asked that Gems put up Eddie's 1959 Mercury recording, "The Distinguished Violin of Eddie South." Now that the holidays are behind us, we have the time to honor that request. 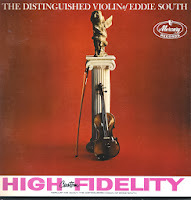 Lovers of jazz fiddle certainly know Stephane Grappelli, Stuff Smith and Joe Venuti. 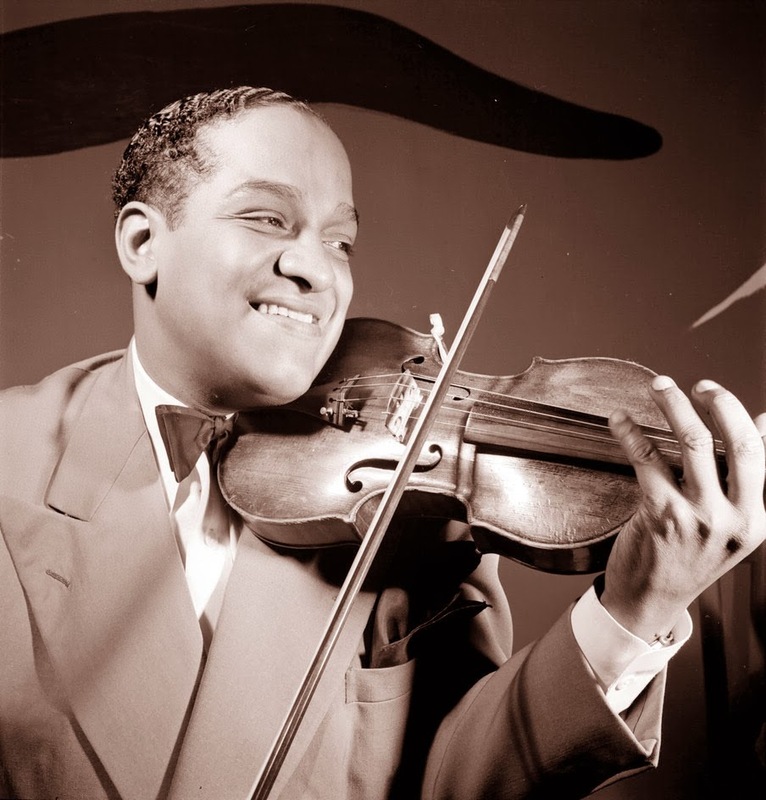 Most know that Ray Nance played a mean violin in addition blowing fine trumpet. 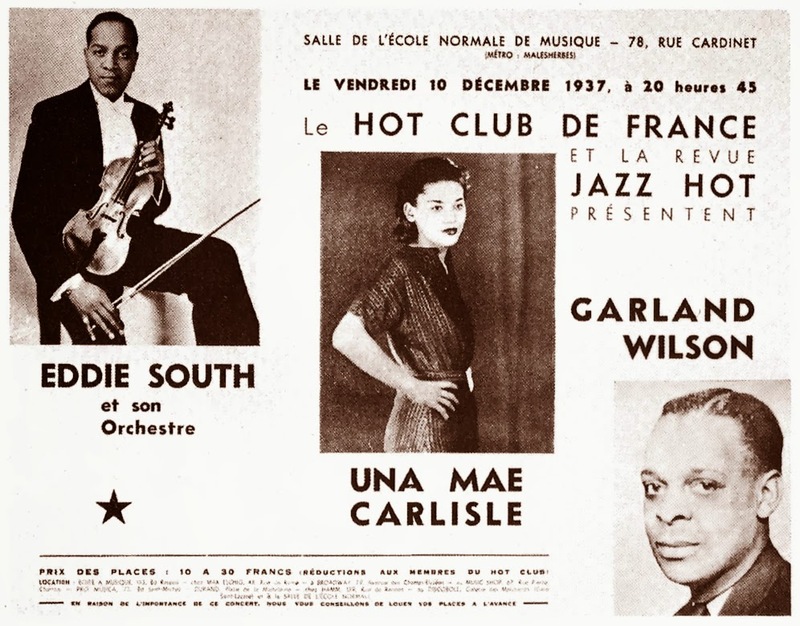 But many jazz listeners may never have heard of Eddie South. Why? Probably because Eddie's career extends back to the early days of the swing movement and because he did most of his playing and recording in Europe. 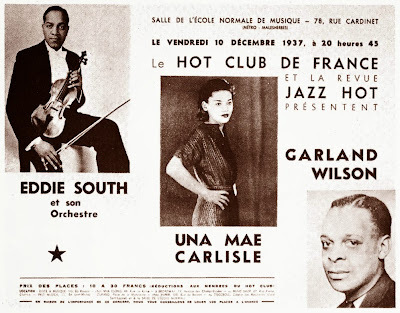 His career as a classical concert violinist was nixed early on in this country by his race and, like many of his contemporaries, he found more accepting audiences abroad. There, he was a major star. 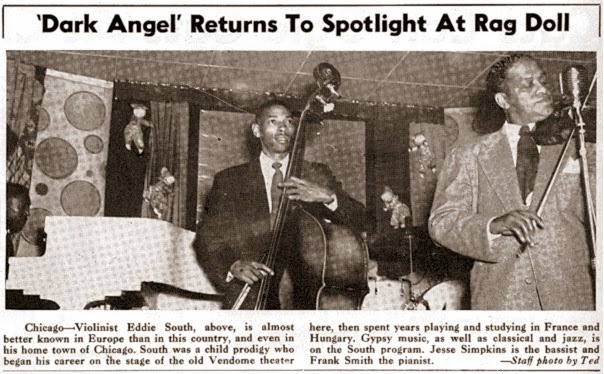 South was particularly taken with the folk music of Hungary and the Roma culture (gypsies, in non-PC parlance), and he frequently performed with Grappelli and guitarist Django Reinhardt. A tune he picked up on a trip to Budapest in the late '20s became his theme song, and he played it right up until his death in 1962. In the late 1950s, the Mercury/EmArcy record label began making recordings in Chicago under the "Wacker Series" imprint (after Wacker Drive in the Loop, the location of Mercury's studios). They did several with Eddie South, and two of those are offered here. The second comes courtesy of Gene, the gent whose request inspired this posting. 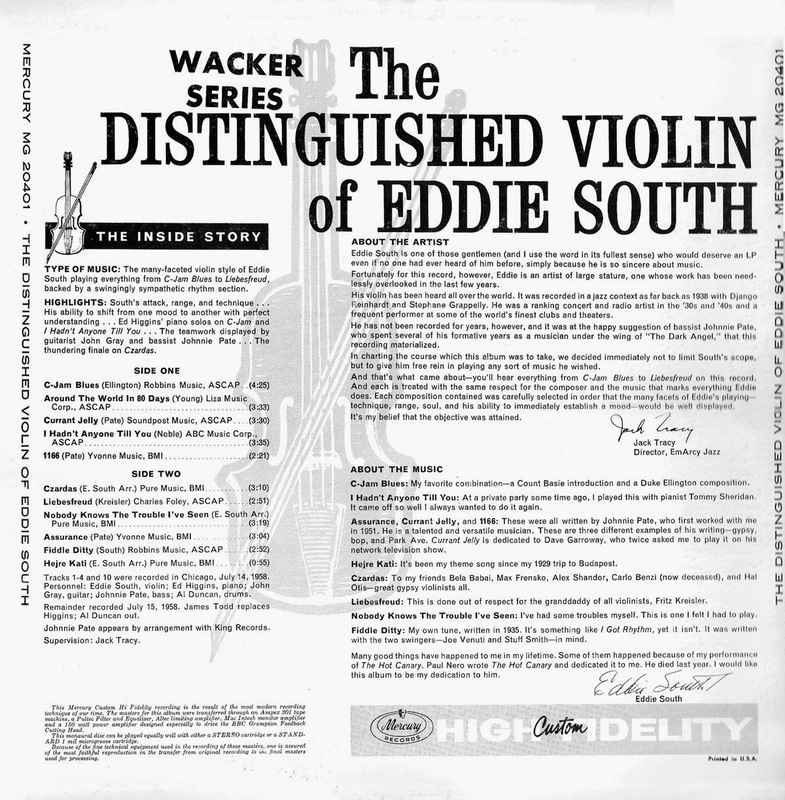 "The Distinguished Violin" features Eddie in 1958 working with an all-Chicago rhythm section that includes pianist Eddie Higgins, guitarist John Gray and bassist/producer Johnny Pate. These gents are modernists, several generations removed from South's days as a member of Freddie Keppard's South Side group, but they perfectly complement the violinist's Fritz Kreisler-esque pyrotechnics. 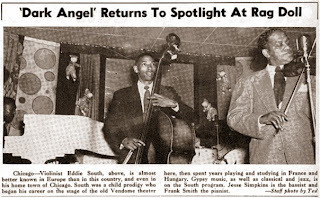 as a soloist with Earl Hines' orchestra. The second recording was released on Mercury's budget Wing label, and I believe it may be a reissue of the original album. It was released in 1959, as far as I can determine. Curiously, none of my discographical sources have a listing for "Music for the Birds," so the personnel remains unknown, with the exception of flutist Mike Simpson who shares cover billing with South. Simpson was apparently a local flute player who recorded as a session guy for Argo Records and who was part of the CBS music staff in Chicago. He was active in the '50s, but beyond that there isn't much known about him. He sounds fine here, but is far more conventional than the liner notes would have you believe. 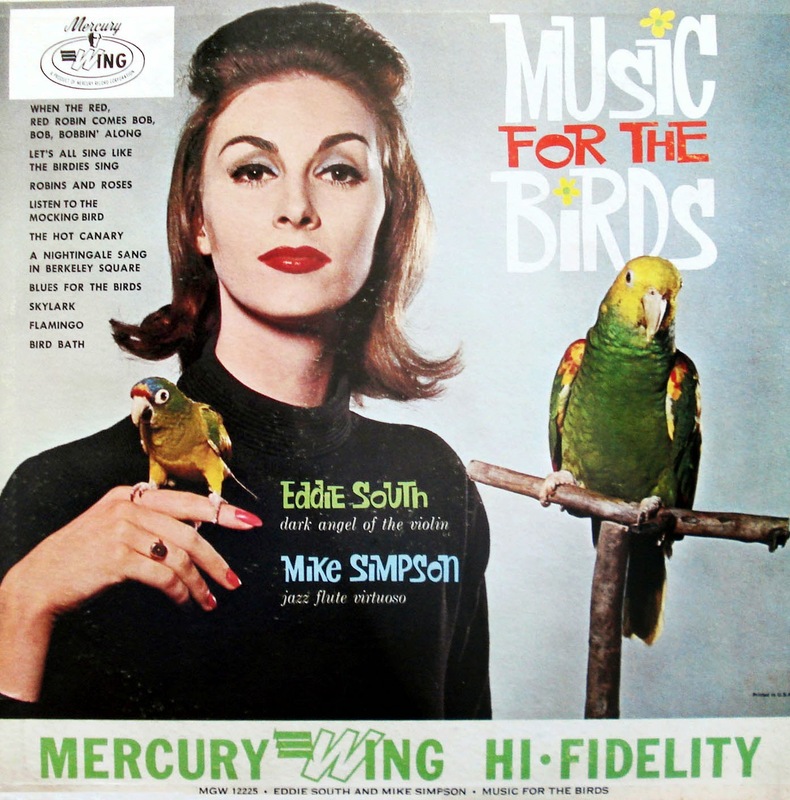 This record has the dubious distinction of providing the only example of a jazz rendering of "Red, Red Robin." 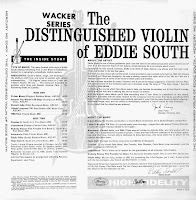 The performances, though brief and burdened with the title concept, are uniformly delightful and show off Eddie's South's extraordinary ability with harmonics. As always, the files dubbed by Gems come from the original vinyl. Those provided by Gene also sound like they were taken from the original LP. Many thanks for the suggestion and for "Birds," Gene! 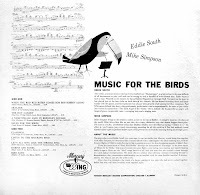 Eddie South, vi; Eddie Higgins, James Todd*, p; John Gray, g; Johnny Pate, b; Al Duncan, d.